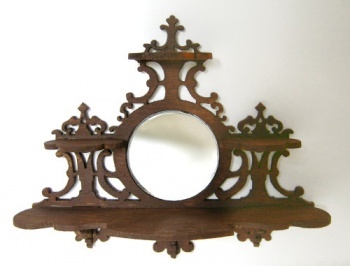 Absolutely gorgeous Victorian style shelf. Fretwork details, Round mirror, three small shelves and one full length shelf. The detailing in this is so beautiful. Copied from an antique piece. 3 1/4" side 2 3/4" high.